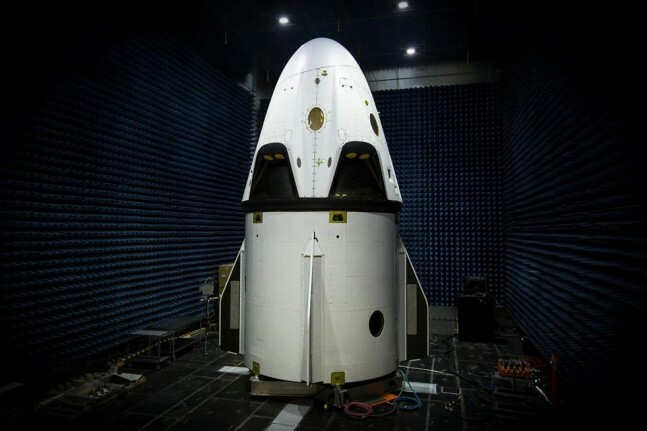 CAPE CANAVERAL, Fla — The pad abort test for Space Exploration Technologies’ (SpaceX ) Dragon V2 spacecraft has slipped to no-earlier-than Wednesday, May 6, with the test window opening at 7 a.m. EDT (11:00 am GMT). According to SpaceX, this delay has less to do with any issue and more to do with needing more time to prepare for the test. The crew-rated version of SpaceX’s Dragon spacecraft – the “V2” – is one of two vehicles selected by NASA as part of the agency’s Commercial Crew transportation Capability in September of last year. When it is conducted, the pad abort test will serve to simulate an emergency at Cape Canaveral Air Force Station’s Space Launch Complex 40 (SLC-40) in Florida. If it is similar to other pad aborts, such as those carried out under NASA’s Project Mercury, the Dragon V2 capsule’s abort system will be activated and the test article of this version of Dragon will soar into the sky, parachutes will likely be deployed allowing for a soft splashdown in the Atlantic Ocean. The craft will then be recovered and the data gleaned from the test reviewed. The pad abort test is actually a requirement of the third phase of the CCP, the Commercial Crew integrated Capability, or “CCiCap”, and is viewed as a critical milestone toward having the Dragon V2 certified to fly crews to the sole destination in low-Earth orbit – the International Space Station. With both SpaceX and Boeing (whose CST-100 spacecraft was also selected for CCP) have to demonstrate how they plan to protect astronauts riding on their spacecraft in the event of an emergency. NASA is currently planning on hosting a press conference regarding the pad abort test on Friday, May 1. NASA’s Commercial Crew Program Partner Manager Jon Cowart and SpaceX’s Vice President of Mission Assurance, Hans Koenigsmann will be present to provide more information regarding the test. Prior to any crewed flights, both companies must demonstrate the viability and reliability of their systems.